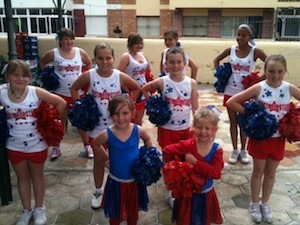 Costa All Stars Cheerleaders is the only BCA (British Cheerleading association) Squads on the Costa del Sol. All squads will be working towards performances along the coast & competitions in the UK and Spain as well as supporting local football & basketball games. Classes take place at the following locations; use the contact details below for more information. Costa All Stars also offers Cheerleading Themed Children's Birthday Parties, with everything included, from the venue, food, cake, cheerleading outfit and lots more. Plus Cheerleading Themed Hen parties again with everything included. To find any topic related to Marbella or the Costa del Sol, simply visit any page on our website and enter what you are looking for in the search field where it says "What are you looking for in Marbella?" Hanna Salo from Finland is a new instructor. 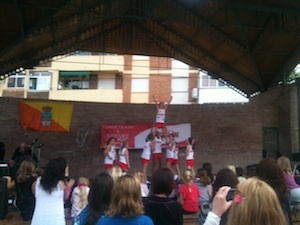 Hanna has taken part in the european cheerleading championships in Italy where her squad came 1st. Hanna will be helping coach the costa all stars squads starting this Saturday in Benalmedena.